In December 2012, I made a tote bag. It was so easy! so fun! & used up so many quilt scraps! 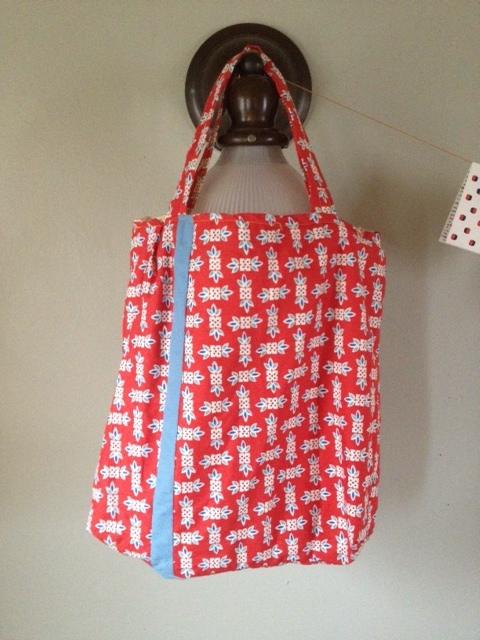 So, I made sixteen tote bags in two weeks. I became the tote bag hurricane. And then I gave them all away to my family and friends as Christmas presents. Finishing the zipper pouches this past December, I began to wonder about those tote bags: where they’d gone, what they’d held, if they had survived the year. So, over the next few weeks, look for a few posts about the journeys of those tote bags and the friends & family that carry them. 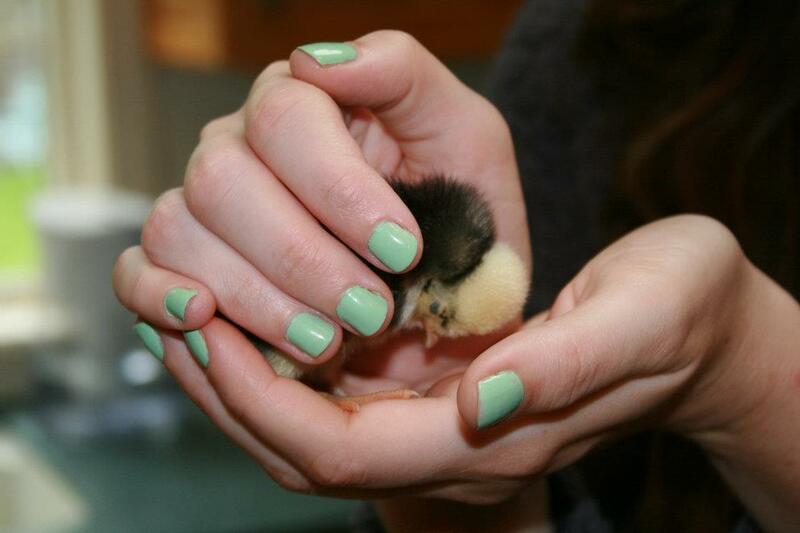 The Polish chick in my well-manicured hands has nothing to do with tote bags or goats, but it’s so cute! Amiright? !